Putin has created a special economic zone in the Far East as part of a broader effort to boost ties to Asia. Russian President Vladimir Putin has ordered that a special economic zone in the Far East be established as part of a broader effort to increase Moscow’s economic integration in the Asia-Pacific. According to Russian media, the Kremlin published Putin’s order on its website on Tuesday. “Taking into account the previous instructions of the President of the Russian Federation,” the document said that “a special economic zone of industrial type is to be created in Vladivostok and provide funding for construction of its industrial infrastructure.” In the order, Putin says that the SEZ should be created by June of this year. Vladivostok is a major city in Russia’s Far East, close to Moscow’s borders with China and North Korea. It is Russia’s largest port in the Pacific Ocean, and also hosts Russia’s Pacific Naval Fleet. It is also a major economic hub for Russia and helps facilitate Moscow’s economic ties to the Asia-Pacific. The creation of the SEZ in Vladivostok is part of a concerted effort on Russia’s part to bolster its economic relations with the Asia-Pacific as its ties with the West falter over the crisis in the Ukraine. Earlier this year, Russia expanded the ministry in charge of Russia’s Far East. After years of talks being deadlocked over India’s civil liability law, Russia and India inked an important nuclear agreement last week. This week, India’s Foreign Secretary Sujatha Singh is also in Russia exploring stronger bilateral ties. India has largely backed Russia over the Crimea crisis. Russia’s ties with China have also strengthened significantly in the wake of the Ukraine crisis. As previously reported, Putin has agreed in theory to sell China Russia’s most advanced air and missile defense system. The system will significantly enhance China’s leverage in territorial disputes with countries like Taiwan and Japan. Equally important, after roughly a decade of negotiations there are growing signs that Russia and China are getting close on agreeing to a huge natural gas deal. 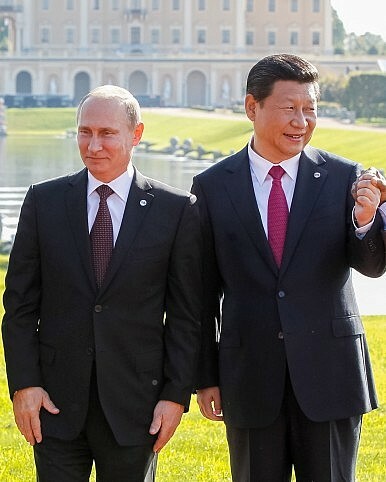 The two sides have been at odds over the pricing of the deal, but it appears that Russia may cave to China on the price issue in order to be able to sign the 30-year natural gas deal when Putin visits China sometime next month. The deal will require Russia to build a new pipeline but should help reduce Moscow’s reliance on Europe for its energy exports. As The Diplomat previously reported, Russia’s Foreign Minister Sergey Lavrov was in China briefly earlier this week. Similarly, last Friday, Japan’s Foreign Minister Fumio Kishida and Defense Minister Itsunori Onodera held a “2+2” meeting with their Russian counterparts, Foreign Minister Lavrov and Defense Minister Sergei Shoigu. It was the first such meeting between the two sides, which remain divided over the three disputed isles of Kunashiri, Shikotan and Habomai. The 2+2 meeting follows a bilateral investment forum between Russia and Japan last month. Last month, Russia’s Far East Development Minister Alexander Galushka also visited North Korea. Pyongyang and Moscow are reportedly discussing the possibility of Russian businesses opening up factories in the joint-Korean Kaesong Industrial Complex. Russia has also been seeking to build its economic ties with Malaysia. Malaysia’s defense ministry is expected to announce soon that Russia will tender the delivery of upgraded Su-30MKM fighters. Malaysia has also expressed interest in purchasing air defense systems from Moscow. Russian Foreign Minister Lavrov was also in Vietnam this week, where he met with President Truong Tan Sang. The two sides reaffirmed their comprehensive strategic partnership, and agreed to focus particular attention on energy trade. Moscow has also said that it expects Vietnam to soon join Russia’s Customs Union of Belarus, Kazakhstan and Russia. Although Russia’s Pacific pivot is being accelerated to reduce Russia’s vulnerability to Western coercion, the move is likely to improve U.S.-Russian ties over the long term. In contrast to Europe, where Washington and Moscow are often at odds, their interests nearly perfectly converge in the Asia-Pacific. For example, both countries worry greatly about China’s rise and are seeking to build up countries like India and Vietnam to help balance against it. Russia’s importance and non-alignment has Tokyo and Beijing competing for its hearts and minds.